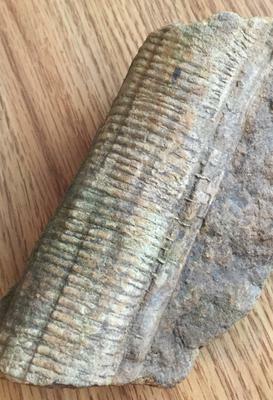 This looks like a crinoid stem. I have some questions for you. What part of Kansas do you live in? If you look at the end of this specimen, is it round forming a cylinder? Is there a hole in it or a marking in the center?